It’s been over 10 years since my last jaunt to Leeds Festival, back in 2004. As for many teenagers, it was my first festival experience and still one of my favourite experiences in easily over 100 festival attendances. The memories of discovering acts previously unknown to me, like DJ Format & MC Abdominal in the dance arena - still one of the stand out festival performances for me… Memories include seeing Morrissey for the first time, The 5.6.7.8’s and that well irritating song they did (remember the one from Kill Bill? Yep. That.). And that Concrete Jungle punk line-up which a festival somewhere badly needs to recreate. The line-up this year is a solid mix of rock, punk, indie, dance, hip-hop and pop - a blend that few festivals manage to maintain. 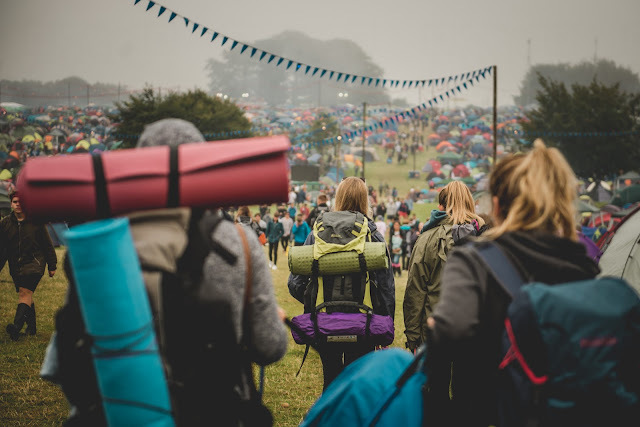 At 30 years old and a well-seasoned festival goer, I rarely get particularly excited about festivals now, I’m sort of ashamed to say. They can sometimes be a bit of a bus man’s holiday, but those butterflies for Leeds Festival have fully kicked in. I’ve just downloaded the app that they have released for 2016, something that more festivals really should invest in. The journey to site this evening will consist of scheduling which bands we’re going to see this weekend, and wondering how I’m going to keep my battery charged so I don’t miss out on notifications (the only downside of festival technology, think I’m going to need to purchase a power pack…). The dance line-up at Leeds this weekend bears no resemblance to the line-up of 2004, with mainstream drum n bass and house music taking over the Radio 1 Dance Stage for pretty much the entire weekend. The line-up features some massive names that many smaller dance festivals would bite their arm off to book - man of the moment DJ EZ, Sir David Rodigan, Oliver Heldens, Hannah Wants, Andy C and among others, personal favourite Tkay Maidza. The Radio 1 Xtra stage features an all-star grime line-up this weekend. Manchester MC Bugzy Malone, Kano, Lady Leshurr, Little Simz, Section Boyz, and Yungen all feature. Anderson Paak and Protoje will also be taking to the stage. After seeing Protoje absolutely smash it at Outlook Festival 2015, this is one I definitely won’t be missing. Lapsley, Giggs, Mura Masa, Krept & Konan, Jack Garratt, and Boy Better Know all feature across various stages. Safe to say that the line-up quality has certainly improved from recent years with just a selection of their grime and electronic acts, although it's a pretty big evolution in terms of what the festival featured a decade ago. Regardless, the sun is shining today, great news for those already on site and waking up to see the first wave of main acts after Thursday’s warm-up last night. For a festival that is well accustomed to the rain, that big yellow ball in the sky will be a welcomed vision. Fingers crossed for not putting my tent up in the rain tonight! Keep an eye on our social media pages for updates over the weekend.